Never feel disorganized again with this cute toiletry bag! 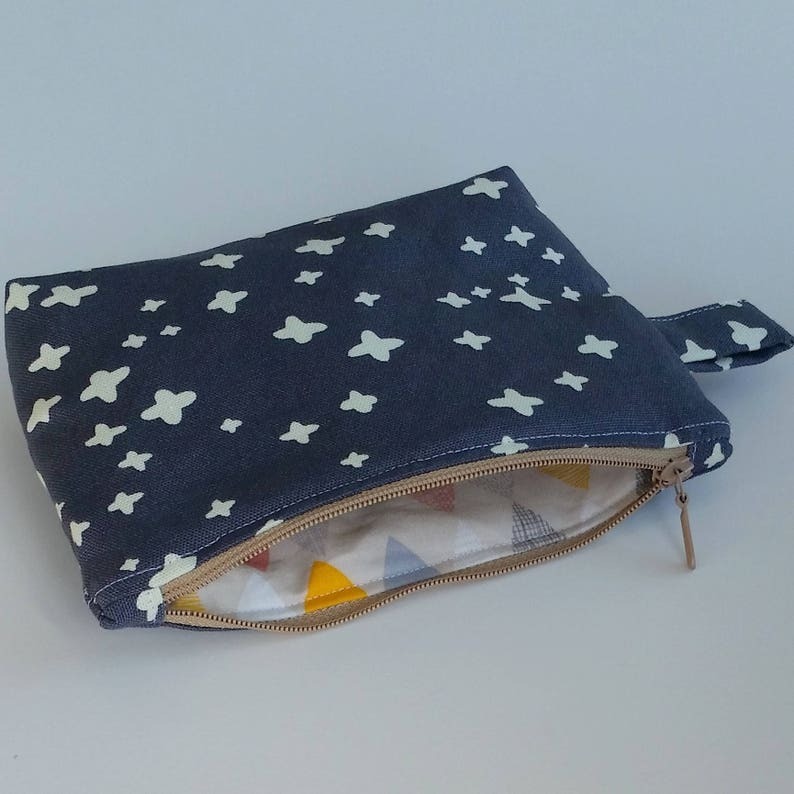 This beautiful pouch is the ideal accessory to hold your essentials! It is great to store many little things, like makeup essentials or your little treasures. The size of the case is 6.5'' x 5" (17 x 13 cm). Featuring a plusses print this bag is that casual chic accessory you have been looking for! The case has a matching zipper closure, is fully lined and it has a flat bottom. I used plush fusible interfacing to reinforce the pouch for durability. All products are made with love and an eye for quality and detail.